As a nation of tea drinkers there could be a number of your family or friends who will appreciate this gift from you. The lidded box contains three 9cm tall tea caddies each containing a different variety of tea bags, Breakfast tea, Afternoon tea and the aromatic Earl Grey. Each caddie also includes the recipient's name on its label with a personalised message running along one side - Please note 'Specially Brewed For' is fixed text on the mug and 'Specially Blended For' is fixed text on the caddies. 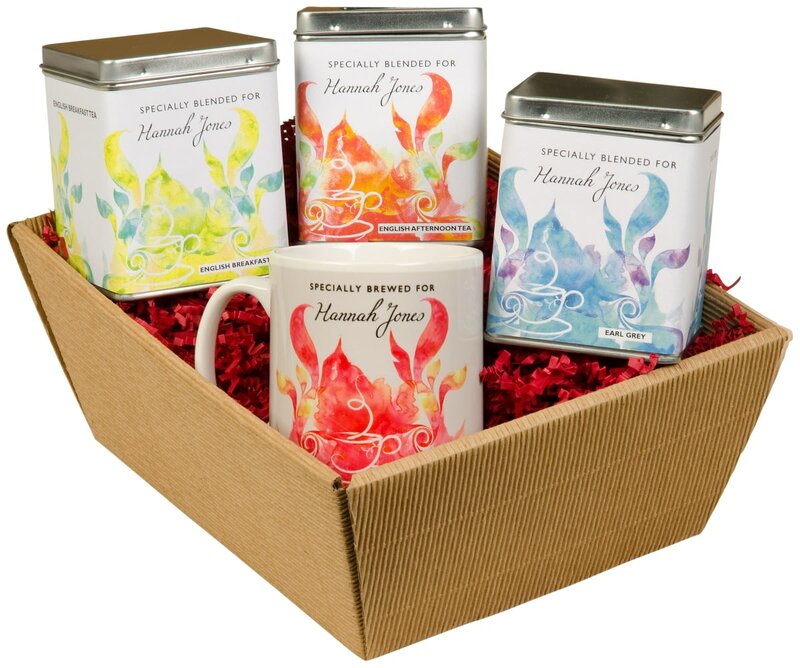 And to enjoy the tea the gift includes a matching ceramic mug also personalised with a name. Make sure that they start the day well with a cuppa made from premium tea leaves. This is a delightful little gift for someone who enjoys a cuppa or two.